DISCONTINUED PRODUCT SHOWN FOR ARCHIVE PURPOSES. 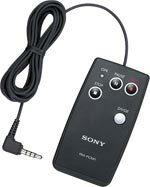 IF YOU ALREADY OWN A SONY PCM-D50 YOU MAY STILL PURCHASE SOME OF ITS ACCESSORIES FROM OUR PCM-D50 WEBSHOP BELOW. 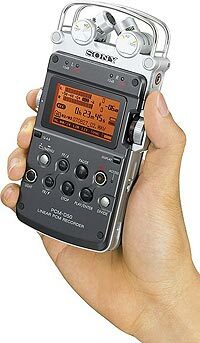 The PCM-D50 is a 96kHz/24-bit recorder fitted with two-position (X-Y or Wide) stereo microphones, 4GB of internal flash memory and a slot for Sony's proprietary Memory Stick Pro-HG Duo for additional storage. Its four AA alkaline batteries power it for 14 hours of recording. 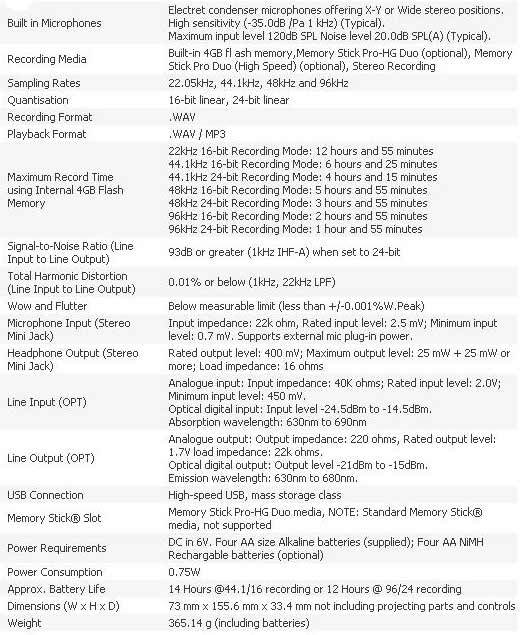 And at CD quality (44.1kHz/16-bit) its internal 4Gb of memory will give you 6 hours capacity before you need to add extra memory. Its two-position stereo microphone, a five second pre-record buffer, digital pitch control and A/B segment/repeat offer some useful portable possibilities for songwriters, musicians and journalists. 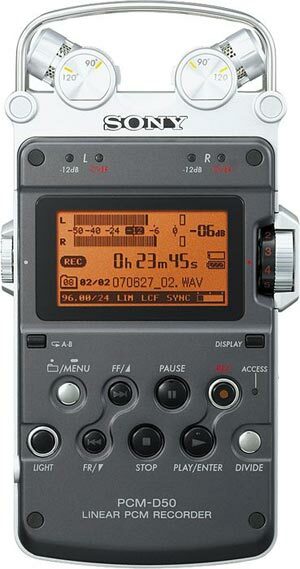 To complement the PCM-D50 recorder, optional accessories include a wired remote control (see bottom right), XLR mic input adaptor, tripod stand, leather case and microphone windscreen. The PCM-D50's electret condenser microphones deliver good sound quality and offer a selection of 2 operating positions, X-Y and Wide Stereo. X-Y covers a wide sound range with good depth, perspective and a natural sounding stereo image; or alternatively, a wide stereo position offering a wider spread stereo image. The PCM-D50 offers comprehensive signal processing features for location recording including a dual digital limiter function, a high pass filter with selectable frequencies (150 Hz or 75 Hz) and SBM (Super Bit Mapping) noise shaping. In addition, the PCM-D50 includes a 5 second pre-record buffer with an A-B repeat playback function. The PCM-D50 is designed with four separate circuit boards to separate analogue audio, digital audio, digital recording, and power supply circuits. Separate circuit boards for each function help minimize noise. With a 4GB built-in memory, the PCM-D50 records up to six hours when recording in 44.1kHz 16-bit CD quality mode. The Memory Stick Pro-HG Duo slot provides up to another 4GB of memory expandability. The PCM-D50 recorder provides MP3 playback, a special Digital Pitch Control feature that slows down playback without changing pitch and an A/B segment/repeat feature that allows you to mark and repeat segments. The PCM-D50 utilises a simple drag and drop file transfer via a high-speed USB 2.0 connection on either PC Windows or Mac OS platforms. Constructed of lightweight metal (aluminium), the PCM-D50 recorder is built to withstand the demands of professional applications.